On hedgeweek, 27/09/2013: Malta remains a relatively small European domicile. 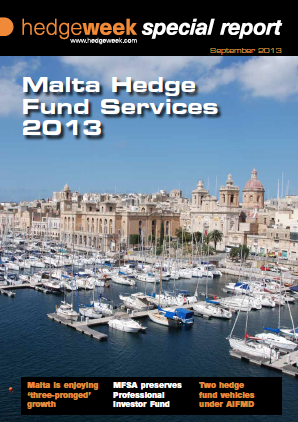 Combined net assets of Maltese funds at the end of June 2012 totalled EUR10.3billion; up from EUR8.3billion in 2011 but still way off more established jurisdictions like Luxembourg, whose wholesale funds market has ballooned to EUR2.523trillion according to its national regulator, the CSSF. Malta, however, knows what its strengths are and continues to focus on presenting itself as a viable option for hedge fund and private equity managers. The number of Maltese funds is now up to 578 according to the island’s promoter, FinanceMalta, of which 460 are Professional Investor Funds (PIFs). Only 64 registered funds are UCITS; becoming a wholesale market is not a realistic aim. Maintaining a niche is critical to Malta’s success. Indeed, one of the net results of Europe’s recent implement of the AIFM Directive is to level the playing field as far as funds are concerned, as all regulated funds, whatever the domicile, will now fall under the AIFMD model. James Farrugia, Senior Associate at law firm Ganado Advocates thinks that under the Directive, Malta will be well placed to grow its fund manager numbers going forward: “On the fund side, domiciles are becoming similar. Competitive differences are...read on.